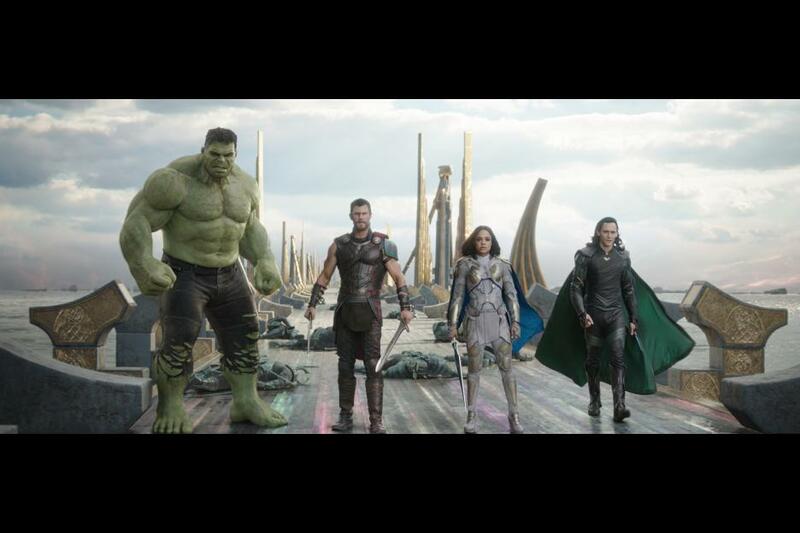 “Thor: Ragnarok” is the best Marvel movie yet! Full of action, plenty of laughs, and a great story line that keeps you engaged until the end! 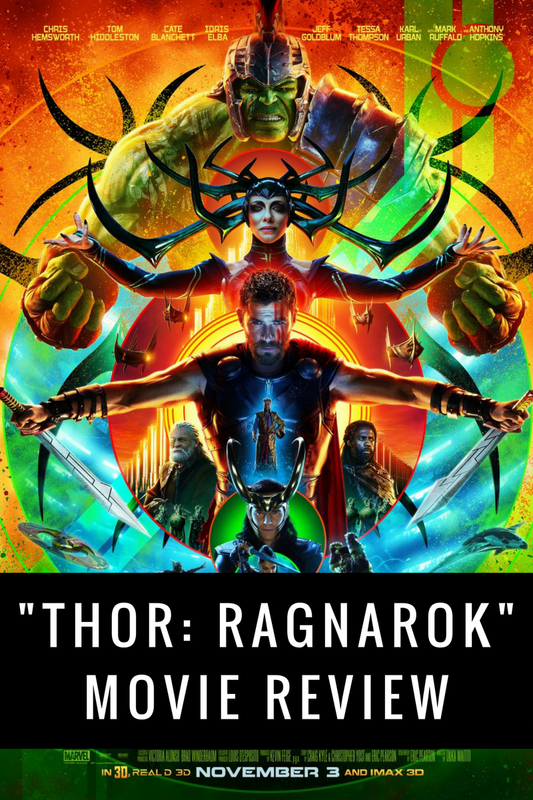 A few days ago, my family and I had the chance to see the newest addition to the Marvel lineup of movies and the last of the Thor trilogy, “Thor: Ragnarok”. My little boys love all things superhero and they couldn’t wait to see this one! My boys are 8 and 5, and the youngest was especially excited to see the Incredible Hulk in this one! 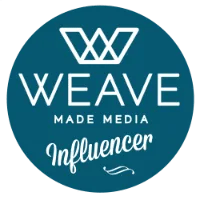 I thought I’d share some of our thoughts about the movie and why this one is now our new favorite in the Marvel Universe, and that’s saying something since we adored “Spiderman: Homecoming” and many of the others! Movies now are often a visual spectacle and I think we, as audiences, don’t always appreciate the set and special effects like we once used to. But in this one, you cannot miss it! The set is a visual feast, full of vivid colors, texture, depth, and small details that you may miss (which is why we are going back to see it again!). The worlds that are created in this movie are both beautiful and grotesque (depending on the scene). I would highly recommend seeing this movie in IMAX 3D just for the visuals alone. You will not be disappointed! I’ve come to expect humor in all of the Marvel movies. It’s one of the reasons why I love them so much! But “Thor: Ragnarok” took the humor to a new level. It was as if the movie was self-aware and at times even making fun of itself. Chris Hemsworth nailed the comedy in this one as did the other characters in Tom Hiddleston and Jeff Goldblum. 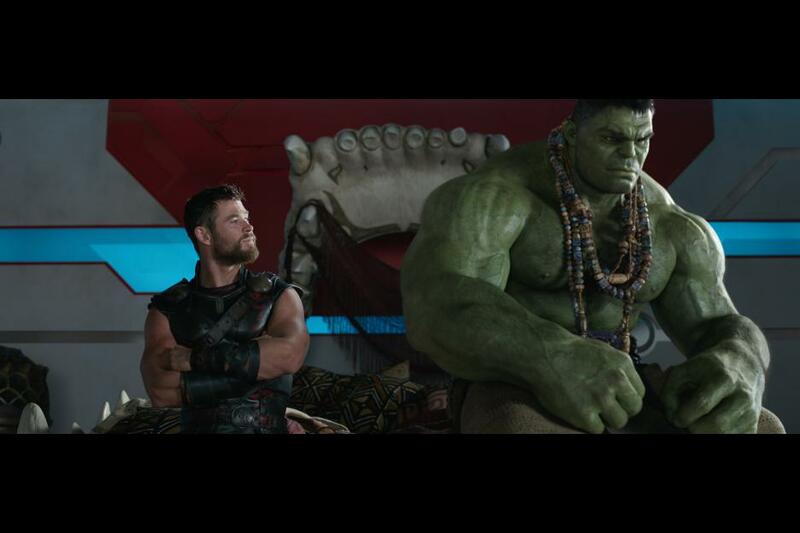 Even the Hulk had his humorous moments too, having been given more dialogue in this move than in any of the others. There are some places where they make jokes referencing some of the other Marvel movies too! One of the great things about the humor was that it wasn’t too much. They were able to balance it well with the heart of the story and add in some poignant moments too. From the very beginning, this movie draws you in and keeps you on the edge of your seat. Every time I thought I knew where it was going, it would take another turn. I loved the development of the characters too. From Loki finding some moments where he wasn’t only concerned for himself to Thor discovering his own power comes from within. It isn’t always easy to pull of the development of minor characters but they were able to accomplish this well. I felt connected to all of them and felt satisfied with where the story took each of them at the end. This is definitely a must-see and I’m sure many of you will even see it more than once! I know that we plan on going back to see it again. 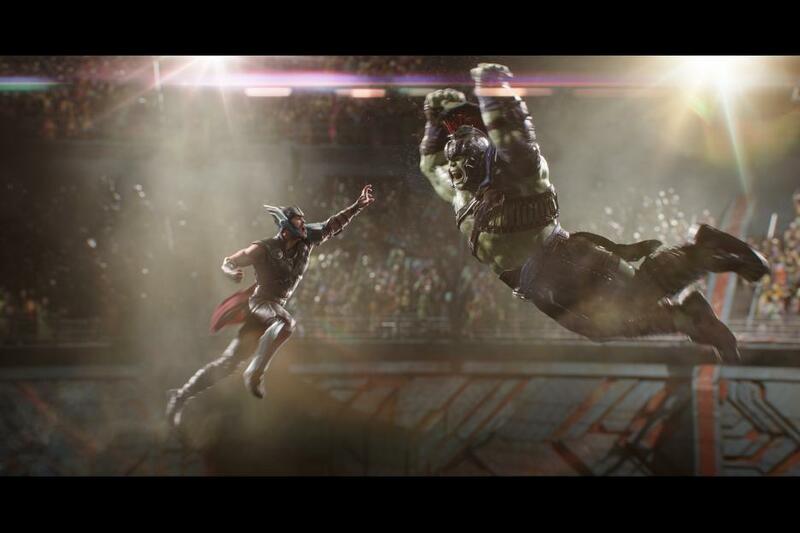 I cannot say enough good things about “Thor: Ragnarok”… buy your tickets now! And if you’re wondering if kids can handle it, my kids had no trouble with it. They stayed engaged the entire movie and did not get scared. Having said that, they have seen all of the other Marvel movies and don’t scare too easily.